CLEVELAND — A 4-wheeler bandit led the Ohio State Highway Patrol on a chase Wednesday. 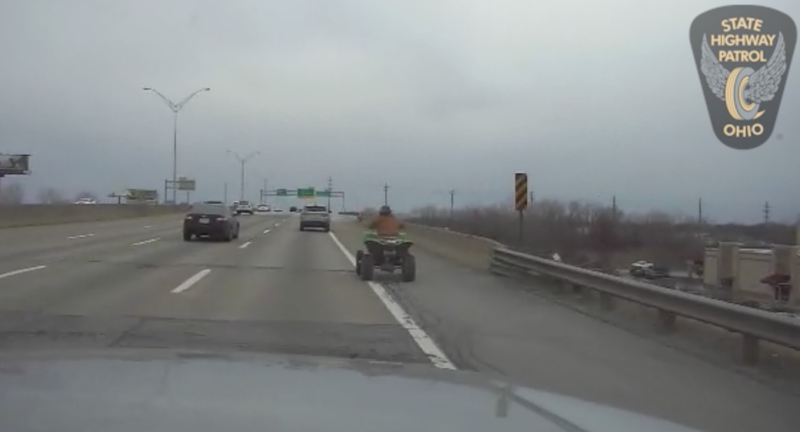 A man on a green ATV was seen entering I-480. After about a minute, the 4-wheeler veers off into the berm in front of the cruiser. The trooper tries to stop him, but every time the 4-wheeler manages to get a lead. Eventually, the 4-wheeler got off at West 150 Street near Brook Park. Based on dashcam video, the trooper followed him throughout residential streets. OSHP confirmed the bandit was never located.